Metropolis is a neat movie from 1927. It has a robot and stuff. Here's a bunch of photos from when they were making it. 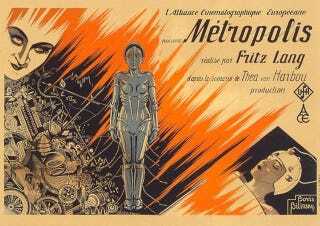 1927 Magazine Looks at Metropolis, "A Movie Based On Science"